Aangan Episode 26 Review – Finally! Aangan Episode 25 Review – Perfectly Woven Suspense! Aangan Episode 24 Review – Some Revelations! Ohkay so, this episode of Aangan was interesting too. I like how after Zoya’s wedding, the writer has started highlighting a couple of situations in every episode & then we get to see everyone’s involvement & contribution towards those situations. Aangan Episode 23 Review – Interesting! Aangan Episode 22 – Review! 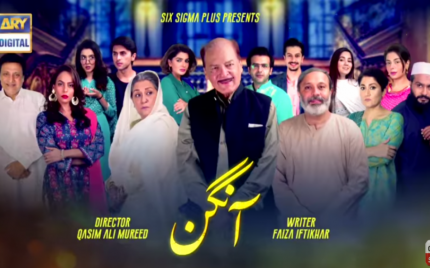 Aangan Episode 18 Review – Hilarious! Aangan Episode 17 Review – Perfection! Aangan Episode 16 Review – Epic! Aangan Episode 15 Review – So Extra! Aangan Episode 14 Review – Wedding Preps! Aangan Episode 13 Review – Wedding Planning! Aangan Episode 11 Review – Very Sweet! 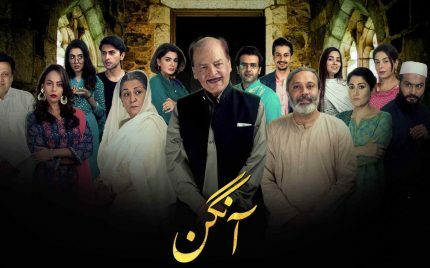 Aangan Episode 10 Review – Thoroughly Enjoyable! Aangan Episode 9 Review – Amazing Episode! Aangan Episode 8 Review – Entertaining! Aangan Episode 7 Review – Entertaining! Aangan Episode 6 Review – Feel Good Drama! Aangan Episode 5 Review – Amazing! Aangan Episode 4 Review – Perfect! Aangan Episode 2 Review – A Complete Package!